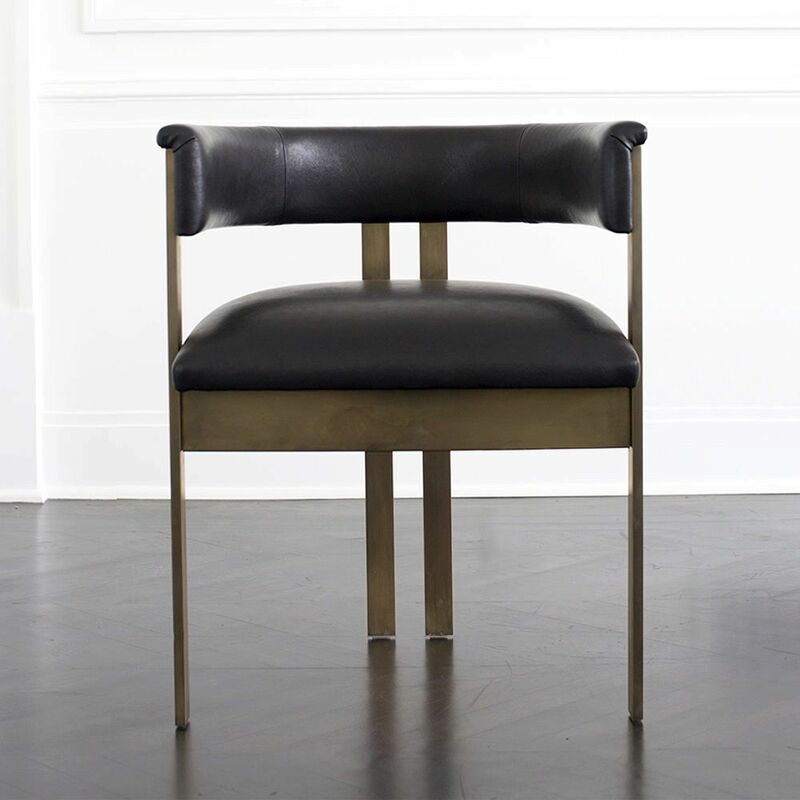 A truly classic form with modern proportions, the Elliott Chair is crafted from 1/2” thick solid bronze bar stock, giving it substantial weight and enduring quality. More details below. A truly classic form with modern proportions, the Elliott Chair is crafted from 1/2” thick solid bronze bar stock, giving it substantial weight and enduring quality. With its gathered rear legs, bold lines, and a choice of signature patinas, the chair is beautiful from all angles and perfect for a desk or for dining. The Elliott Chair is available in two hand-applied finishes, burnished bronze or oil rubbed bronze, and can be upholstered in a variety of leather colors and qualities. Available in counter and bar height versions.